The world's largest aircraft carrier during the World War II was constructed by the Imperial Japanese Navy (IJN), but the ill-fated flattop was sunken by a single torpedo fired by a small US submarine around the end of the Pacific War. The 72,000-ton behemoth was the largest aircraft carrier until the United States built USS Forrestal (CVA 59) in 1955. At the start of the Pacific War in December 1941, the Imperial Japanese Navy was the third most powerful navy in the world only after the US and Great Britain. At that time Japan had a total of 35 carriers including light ones. Japan also built the world's largest battleship Yamato. The heaviest and most heavily armed battleship in history was launched in 1941. 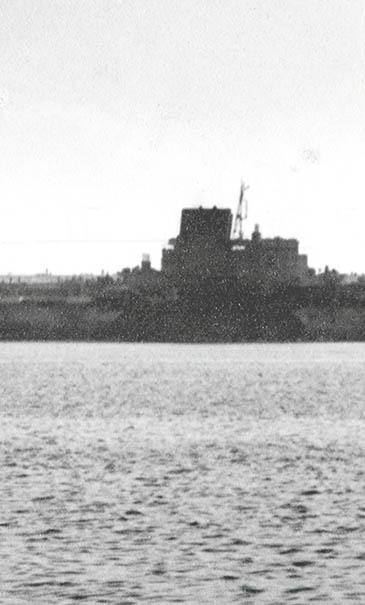 The Shinano (信濃), was, at the time of its completion, the largest aircraft carrier in history to that point. It was heavily armored for a carrier. The Shinano sank not only without sinking an enemy ship or engaging in a major battle, but that never even launched a plane before it was sunken. On Dec. 7, 1941, Japan had a much larger and stronger fleet than the US and early Japanese victories after Pearl Harbor made it seem undefeatable. But America’s industrial might and intelligence breakthroughs allowed the U.S. to reverse the tides. The tipping point came at the Battle of Midway when American forces sank four fleet carriers and a heavy cruiser. The Imperial brass had to make tough decisions quickly to protect the Japanese Navy and regain the initiative. Admirals turned to a Yamato-class battleship still under construction, the Shinano, and made the decision to finish it as an aircraft carrier instead. Laid down in May 1940 as the third of the Yamato-class battleships, Shinano's partially complete hull was ordered to be converted to a carrier following Japan's disastrous loss of four fleet carriers at the Battle of Midway in mid-1942. Her conversion was still not finished in November 1944 when she was ordered to sail from the Yokosuka Naval Arsenal to Kure Naval Base to complete fitting out and transfer a load of 50 Yokosuka MXY7 Ohka rocket-propelled kamikaze flying bombs. Hastily dispatched, she had an inexperienced crew and serious design and construction flaws, lacked adequate pumps and fire-control systems, and did not even carry a single carrier aircraft. She was sunk en route, 10 days after commissioning, on Nov. 29, 1944, by six torpedoes from the U.S. Navy submarine Archerfish. Over a thousand sailors and civilians were rescued and 1,435 were lost, including her captain. She remains the largest warship ever sunk by a submarine.